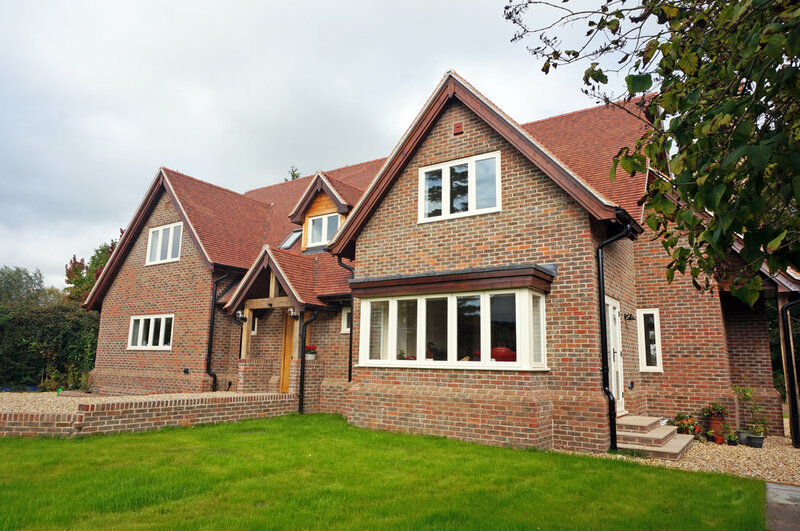 Wild Cherries is a replacement dwelling on an extensive plot in Stockbridge. 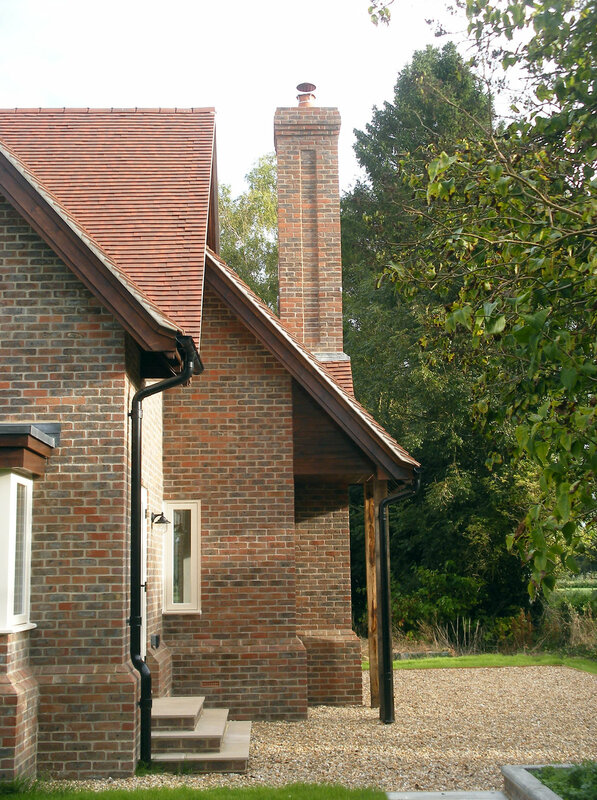 The site originally comprised a 1970s chalet bungalow with some Arts and Crafts characteristics; there are a number of arts and crafts houses in the Stockbridge area, including Marshcourt and its associated estate cottages and farm buildings, designed by Lutyens, and Green Place, designed by Baillie Scott. This provided some inspiration for the design of the new dwelling which is more heavily influenced by the movement, it has four prominent gables with a steeply pitched roof, gabled dormers and a prominent chimney. We LOVE the house! It's everything we hoped for, and more - so thanks again to all the team for delivering a great house, on time, on budget.